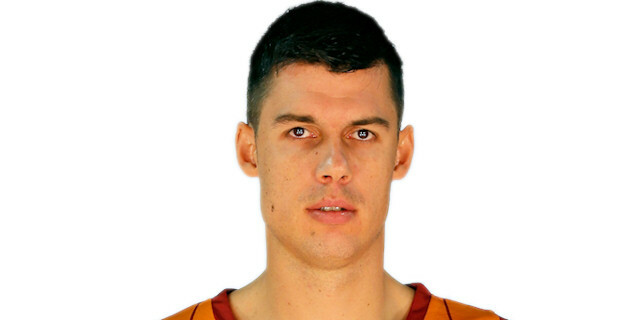 Made his debut with Polet Keramika Novi Becej (Serbia) during the 2002-03 season. Signed for the 2003-04 season by BC Reflex. Loaned to Polet Keramika Novi Becej. On late December '03, back to BC Reflex. Played there till Macrh ‘06. Loaned for the remainder of the season to Borac Cacak. Back to FMP Zeleznik for the 2006-07 season. Signed for the 2009-10 season by Panionios BC Athens. Moved to Turkey for the 2011-12 season, signed by Besiktas JK Istanbul. Named the 2014-15 Euroleague Round 6 MVP. Won the 2012 Euro Challenge with Besiktas JK Istanbul. Won the 2004 Adriatic League with BC Reflex. Played the 2012 Turkish All Star Game..member of the Serbia & Montenegro U-18 and U-20 National Team.